Yeah! Amazing! I can see you hair in the wind on a harley Davidson singing like Brigitte Bardot, en Harley Davidson, je ne reconnais plus personne ( when I am riding my Harley I don't recognize anyone) check it out on youtube or somewhere, I am sure although you know that song. I LOVE your blog. You look good with your new glasses. You are a natural. Born with style. I had no idea! Your hair is perfectly gorgeous anyway--you have so much of it! It's so healthy :D Ahhh waves, I would kill for some <3 But that's always the way it is! argh. not only do you have a really good fringe, you also have thick wavy-ish hair, oh it's no fair. Ha, I'm going to try to remember that line. My hair is naturally straight but I'd love for it to be wavy or curly. Guess we always want what we don't have! what a great comeback-- i've always wanted wavy hair. Haha, love that diamond shoe line. Your hair looks really nice! Sometimes mine will do a slight natural wave if it gets long enough, but I'm pretty obsessed with pincurling now! Oh I looove naturally wavy hair, that's gorgeous! Lovely! And I have major blouse envy. your friend is a genius and your hair is BEAUTIFUL. You've got quite pretty hair! Ban those straighteners. Those waves are lovely and very cute. my hair is the same way. it's moody though. sometimes i wake up and it's straight, sometimes waves all over the place. lol! 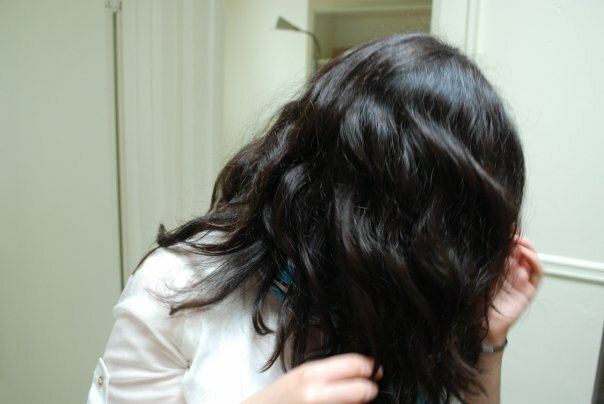 I like the photographic evidence of your wavy hair which is gorgeous by the way! Oooh your hair is lovely... Yes definitely to wearing it wavy more often. 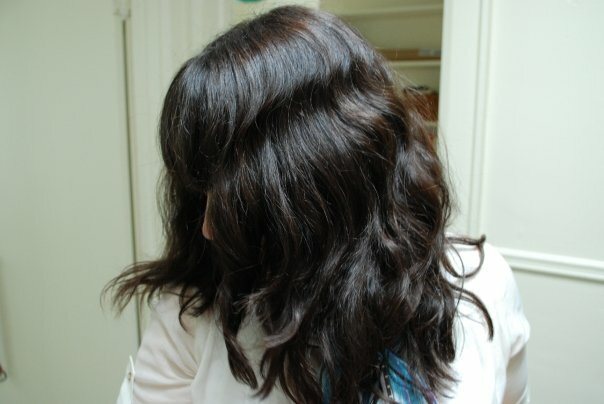 As a naturally straight-haired girl (who suits it better curly!) I'm so jealous! Haha that is fantastic! I also have waivy hair and I used to hate it. That was until one day when someone asked my how i curled my hair every day! I now appreciate what my hair dose naturally.